The Badgers have just one more game. After going 12-0 through the regular season, the University of Wisconsin fell to Ohio State in the Big Ten championship game. The pressure was on the Badgers: Win out, and you likely got a spot in the College Football Playoff, lose and you have a regular bowl game. Unfortunately, it did not go according to plan for Badger fans. Their offense struggled and Ohio State was able to exploit gaps in the Badgers defense. Despite the heartbreak, Wisconsin should still hold their head high because after all, they did have an impressive season. 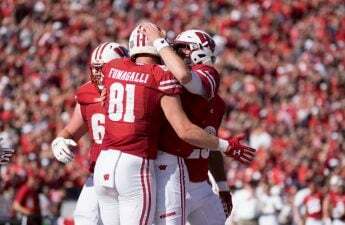 Winning 12 games in a row is no easy feat, and Badger players and fans should be proud of all they accomplished this season. Statistically, both individual Badgers and the team excelled in almost every category. Freshman running back Jonathan Taylor ranks third in the nation rushing yards with 1,847 thus far. Linebacker Garrett Dooley recorded eight sacks on the year, good enough for a tie at 33rd in the category. Wisconsin has two players, tied for 22nd in the interceptions category. Joe Ferguson and TJ Edwards came away with four interceptions each. Wisconsin as a team is 15th in rushing yards, tied for 11th for third down conversions and the defense as a whole ranks 4th in total yards. On average, Wisconsin’s defense only allows 253 yards and 13.2 points per game. These numbers are impressive, and are a testament to the hardworking nature, coaching and talent of the team. One of the bright spots of the season was the emergence of young players who took on big roles. The most prominent is the play of Taylor. 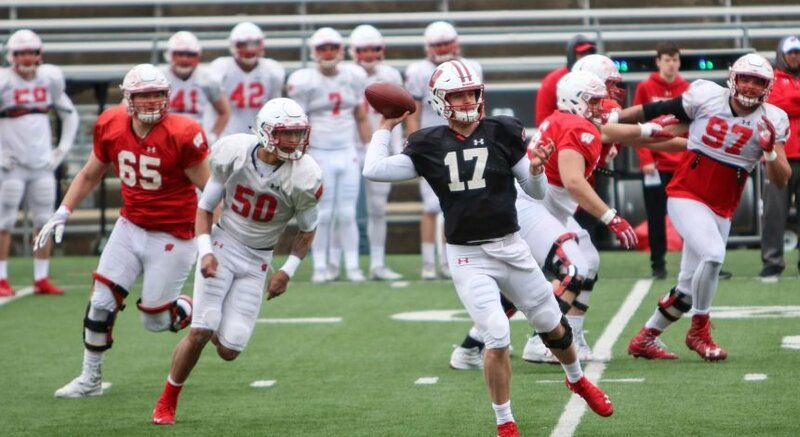 When Taylor arrived in Madison from New Jersey, coaches and players were not sure how much of an impact he was going to have as a true freshman, but he shocked them all with his preparedness for big time Division I football. Taylor broke out during the Badgers’ second game of the season against Florida Atlantic University. Taylor rushed for 223 yards and earned his first of many Big Ten Freshman of the Week awards. Taylor was named first team All-Big Ten, and the Thompson-Randel El freshman of the year. He follows a great tradition of New Jersey running backs coming to Wisconsin. Fortunately, Taylor will be back next year as he looks to continue to grow as a player. Even Wisconsin’s quarterback this season is young. Alex Hornibrook is a redshirt sophomore who split time last season at the quarterback position with senior Bart Houston. This year, Hornibrook had the starting position all to himself. 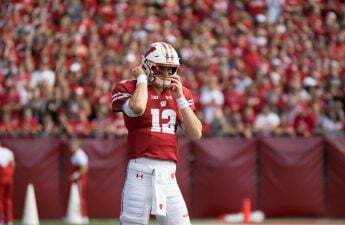 Hornibrook showed moments of great poise and confidence, but he was prone to throwing interceptions. But, when he did get picked off, he was quick to respond and recover from his mistakes. This signals his maturity, and with the coming years hopefully he will clean up his errors. Quintez Cephus started to emerge this season as one of Hornibrook’s targets before a season ending injury. The sophomore from Macon, Georgia played in all 14 games last season as a true freshman but had limited opportunities. This year, Cephus made 30 catches and had six touchdowns in 9 games. With the mid-season departure of Cephus the door opened for true freshman Danny Davis. The wide receiver has totaled 18 catches and 2 touchdowns. This season the offense was particularly young, but the defense was older. The leadership that came from the older, more experienced players was incredible. As a unit, they were reliable and efficient, and often time it was the defense making big plays and keeping the Badgers in games. The defense was tied for 9th in the number of interceptions with 17 on the season. When the offense struggled, the defense was usually able to force a punt or come away with a turnover to bail them put. 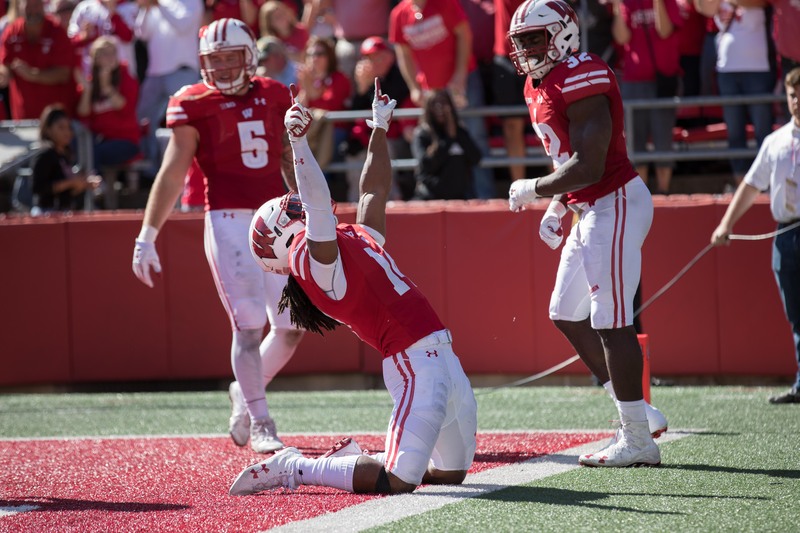 Against Ohio State, the Badgers struggled offensively in the first half, but the defense came away with a pick six that at least kept the Badger’s in the game. Although this was not the result that any Badger fan wanted, many great things have come out of this season. 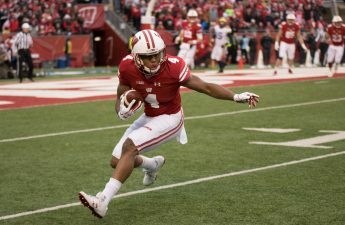 The offense is young and growing, the defense is stable and one of the best in the county — and the Badgers still have one more bowl game. The Badgers are going to be fine, and we as fans should be proud of an incredible season.